For Porter Robinson’s “Worlds” world tour, META brought in animators Invisible Light Network to combine anime with pixel art and glitched out Tumblr-inspired cg into epic landscapes and storylines. A huge cast of animated characters explores love, longing, and adventure in a series of fantastic alternate realities – which unfold on a massive set of on-stage LED screens. While Porter composed Worlds, he was also thinking about the look of the project, documenting his visual explorations in a massive collection of links, screenshots, and story ideas pulled from the worlds of anime and online MMORPGs. It was a perfect match for META’s ILN’s artists: “I’ve been drawing anime/manga since I was a teenager. Most of my influences are some of the older stuff like Akira, Macross and Nausicaa,” said illustrator Tom Lintern. 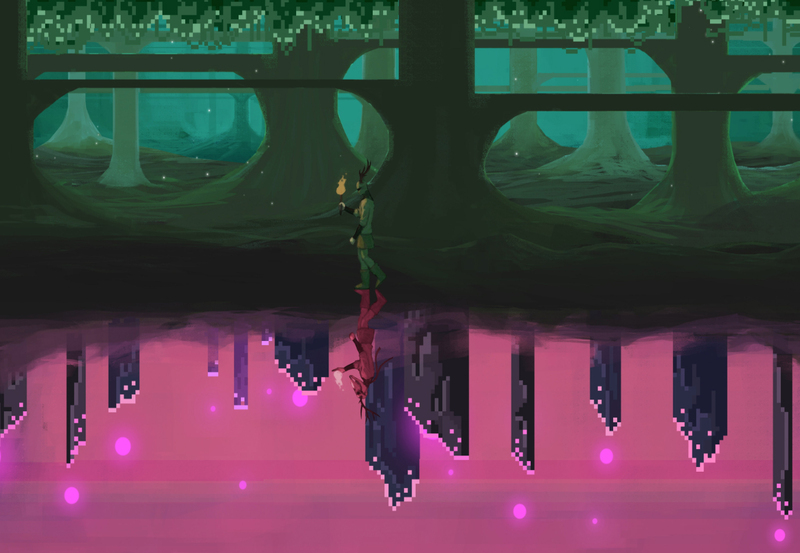 The studio built on Porter’s foundation by adding layers of inspiration pulled from Indie games like Journey, Below, and Torchbearer and classic games like Another World and Space Harrier. Throughout the project, Porter Robinson remained a key part of the process, spending many hours calling in from around the world to be a part of the evolving conversation. These long talks crystallized an approach that used Worlds as a guiding principle – taking the opportunity to see the tour visuals as an extension of the reality introduced in the album. Weeks of sketching followed. In this stage, lead illustrators oversaw each song in the setlist to maintain a coherent visual concept. A large part of the project was spent in this conceptual stage, sometimes looping back several times in order to finally reach a satisfying result. Once the conceptual work was complete, ILN began building out and animating each section of the show. Because they came from such a diverse set of backgrounds, many of the artists on the team had no previous experience in working with other traditions. “I have never attempted something so experimental,” said Shawna Mills, a key illustrator/animator. The accelerated schedule and massive amount of traditional, hand-drawn cel animation added even more pressure. To maximize the amount of content available, work was done in an special ultra-large format and split into multiple layers. As the animation continued, the epic scope of the visuals began to take shape. Finally, Invisible Light Network’s editor, working closely with Porter and Ghostdad, the tour VJ, began to weave the animation into one unified visual performance. Because of the layered work that the animators had produced, the editors were able to remix and recombine content on the fly to create the final look of the show – with adjustments and tweaks continuing through rehearsals and right up to the day of the first tour date in Vancouver. 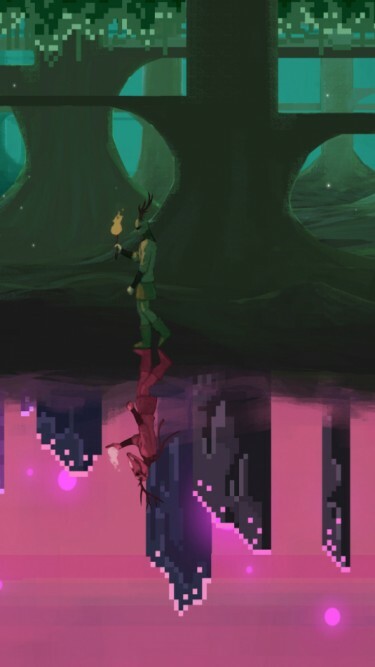 The Worlds visuals have lived on in the huge online community of Porter Robinson fans, most directly on Tumblr. Immediately after the tour began, fans recorded and re-edited the visuals into animated GIFs, which they posted and shared online. This was quickly followed by original fan art based on the characters and worlds ILN had created. A few even went to shows in Worlds cosplay. This embrace of the work – both online and offline – ended up being one of the coolest parts of the project, and fitting for something that began as inspiration pulled from the firehose of online digital ephemera.